My favorite guest star Mega Man returns and gets the short end of the stick. 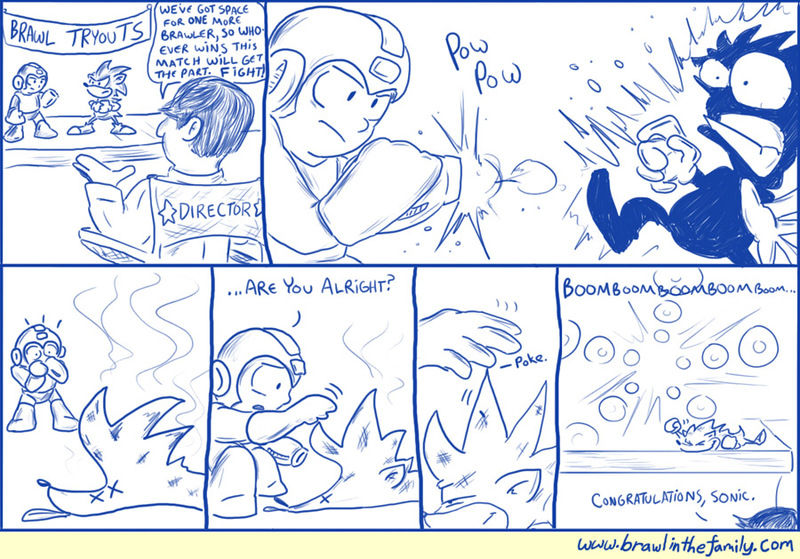 The core joke here is actually not directly Nintendo character-related, so hopefully most of you are familiar enough with what happens when Mega Man so much as touches a single spike. It’s no small secret that a lot of people would’ve loved to see Mega Man as the third 3rd-party character for Brawl. He’s my own most-wanted character in the game…heck if I know why neither Inafune nor Nintendo asked for him to be in. So let’s just assume Sonic beat him out using this rather crafty technique.